Belfast Castle, with the Cave Hill rising beyond, in the most popular part of the Belfast Hills. 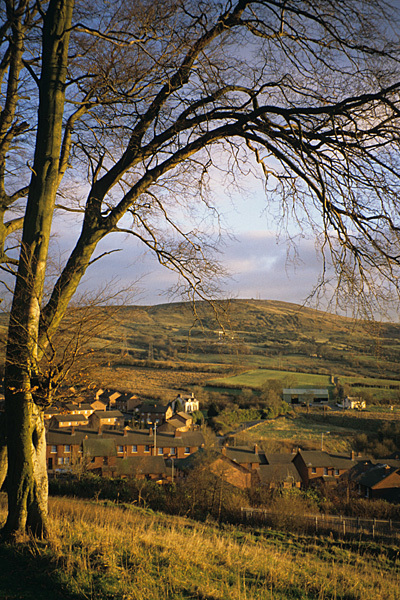 The suburbs of the city of Belfast finally give way to rugged countryside in the Belfast Hills. A colourful harbour at Bangor on the North Down Coast Path near Belfast. Just about everything was up in the air regarding this book, from its inception to the present day! It was commissioned by HMSO while that organisation was being re-organised to become The Stationery Office. 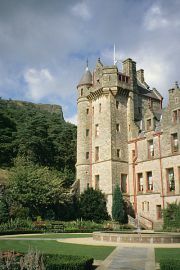 The guidebook was planned to be part of the '25 Walks' series. Initial discussions were held, where there was talk of having five or six volumes, covering almost the whole of Northern Ireland. A contract was issued first for Antrim, then switched for Belfast, with further ideas for books covering Fermanagh and the Mountains of Mourne being floated. 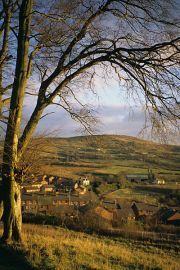 The route research for the Belfast guidebook was conducted in the depths of winter over a period of about three weeks. 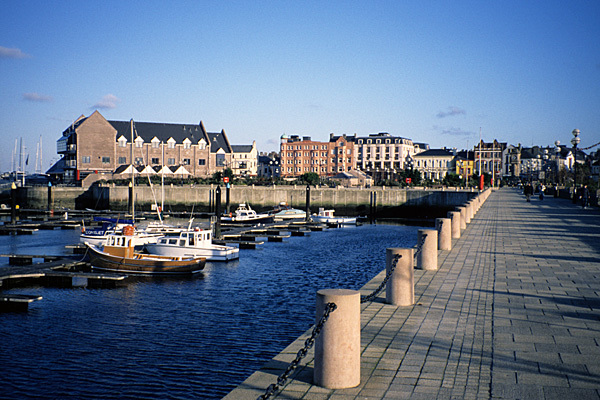 The city has a surprisingly good level of countryside access, with urban parks and green spaces, overlooked by the Belfast Hills, while the Lagan Valley and Belfast Lough were threaded by a network of easy and interesting paths. All the routes were accessed using public transport, which is highly efficient around the city. Shortly after publication, the '25 Walks' series was acquired by the Mercat Press, and by that time the Belfast guidebook had been followed by a guidebook covering Down District, though no more in the series were produced for Northern Ireland. The Mercat Press was later taken over by Birlinn, who continue to hold the '25 Walks' series.